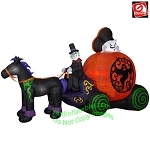 Animated Halloween Skeleton Pirate Ship! 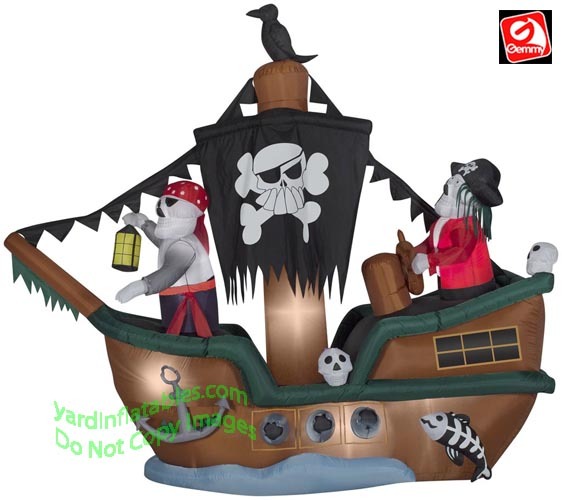 The Ships Wheel Turns Left & Right! 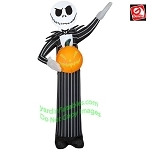 This Gemmy Air Blown Inflatable Halloween Decoration comes with built in Heavy Duty fan, internal lights to create a glowing night-time display, yard stakes, stand and tethers.